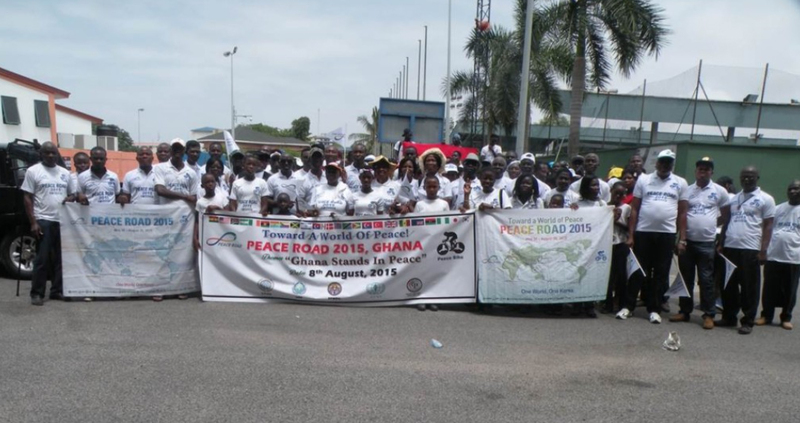 By FFWPU Ghana, Raymond Danquah: Peace Road 2015 was originally slated for Ghana in June but due to a national disaster that took place on the 3rd of June necessitated a postponement. A new date was fixed for 8th June after several considerations. 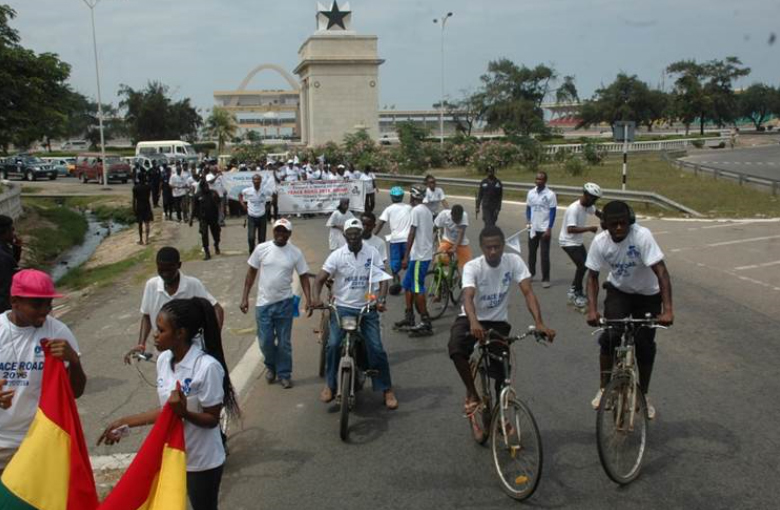 A few days to the event the number one cyclist in Ghana was accidentally killed by a motorbike. This incident plus other security concerns almost jeopardized the event. However, we received grace from Heavenly Parent and True Parents as all things worked together for our good and in the end; we experienced a victorious Peace Road event. 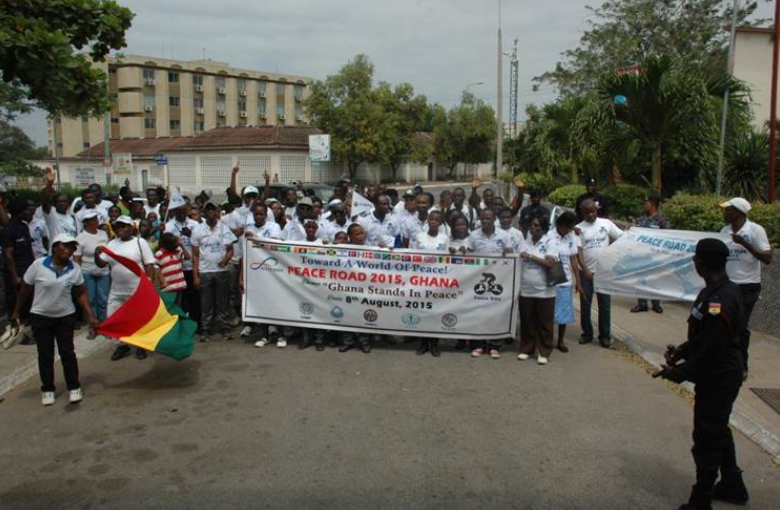 On 8th June, 2015, 120 ambassadors for peace and other guests of other providential organizations participated in Peace Road 2015 with the theme: Ghana stands in Peace. 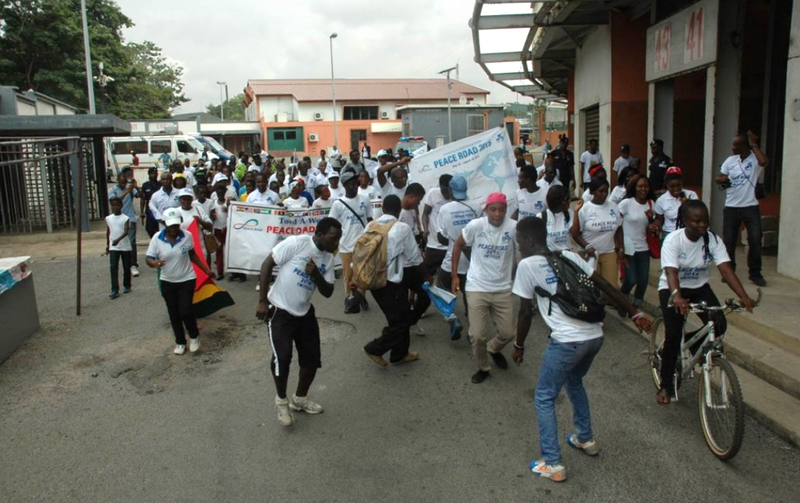 The event started at the Arts Centre and ended at the Accra Sports Stadium amidst singing and dancing to renditions of brass band chorals. 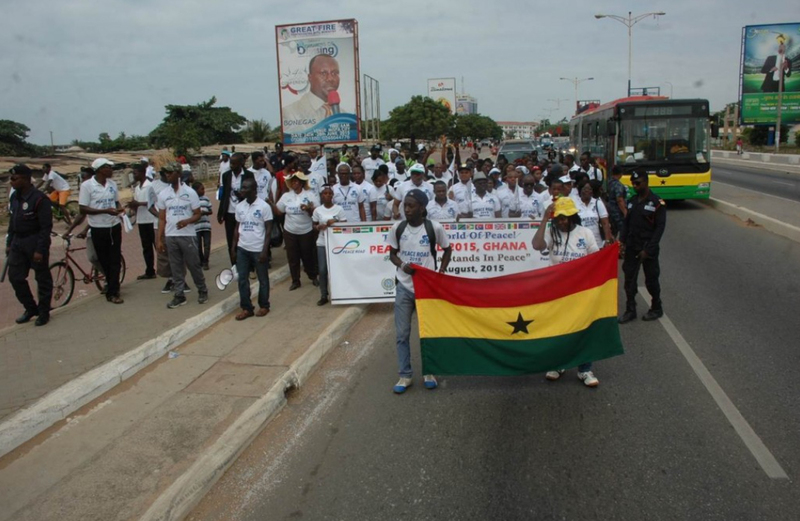 Although the route was quiet short, the march was very significant as the 28th February Street, has a history connected to the independence of Ghana. 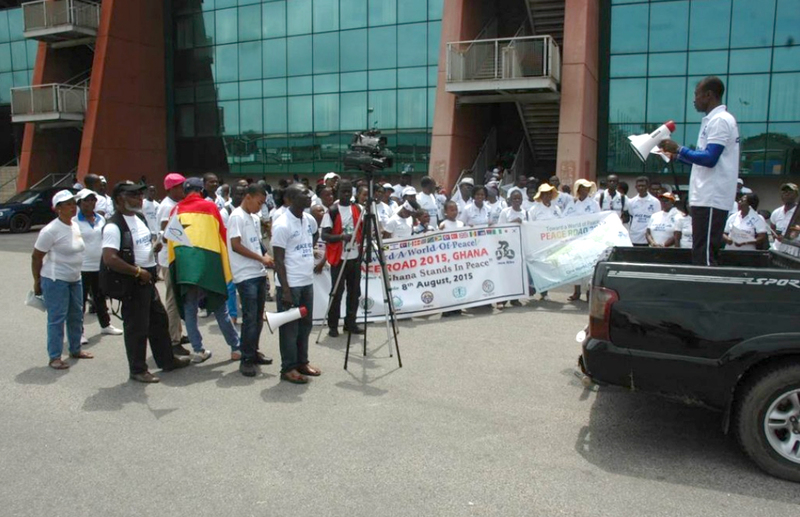 In a welcome address at the Arts Centre, Pastor Raymond Danquah, vice president of FFWPU-Ghana said that this march was to a symbolic event to create awareness to rally international support for the unification between North and South Korea. 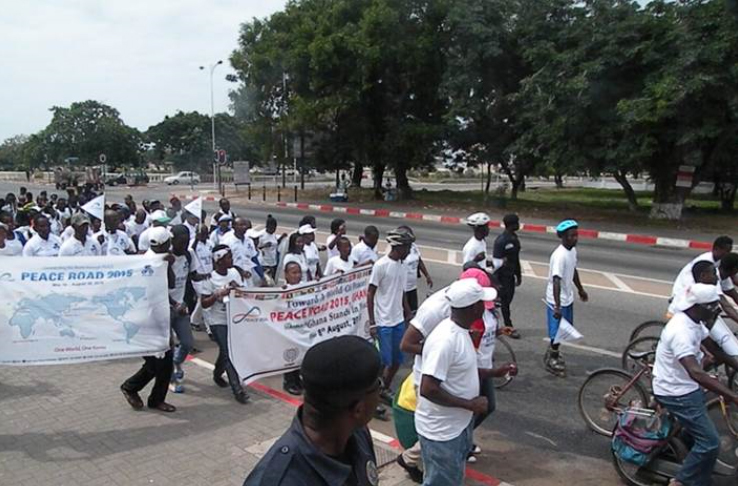 After a short opening ceremony, the march started with police escorts of close to 10 personnel and we marched with bicycle riders and roller skaters displaying along the pedestrian sidewalk. 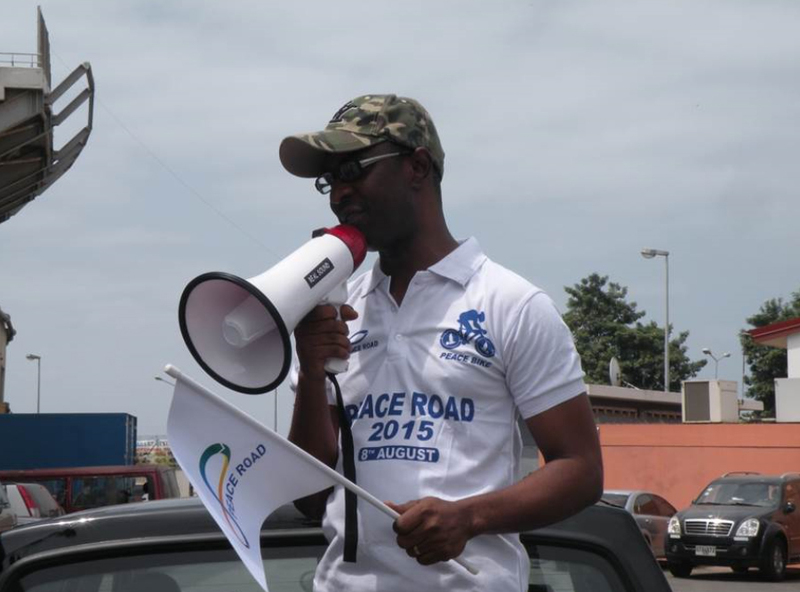 In about two hours we had arrived at the Accra Sports Stadium through the Independence Ark. 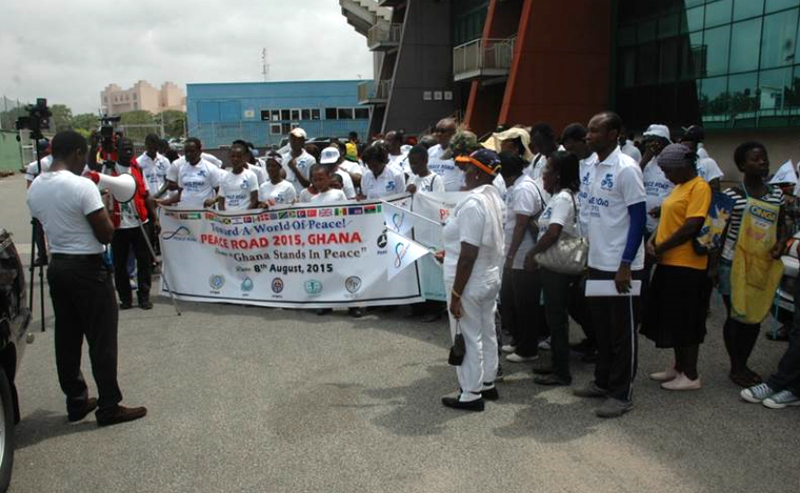 We marched around the sporting perimeter of the field and gathered in front of the VIP lounge for the closing ceremony. Rev. Itia Tegha gave the opening prayer which was followed by an address from Mr Ebo Hammond, Chairman of the UPF-Ghana. He spoke about the Peace which eludes all humankind because man fell away from God’s peace. The vote of thanks and closing prayer was by the queen mother of the Akwamu Traditional area, Nana Opongwaa II. 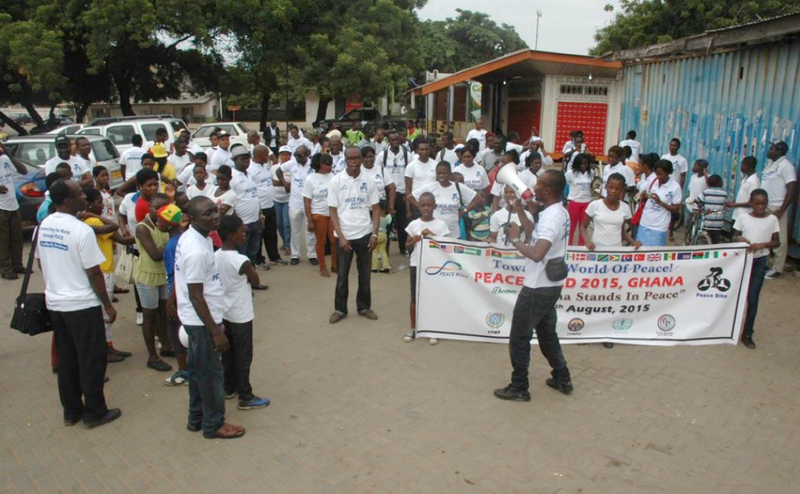 There participants saw how True Parents have a broad perspective and foundation for world Peace. There was interaction between guests of the different providential organizations. 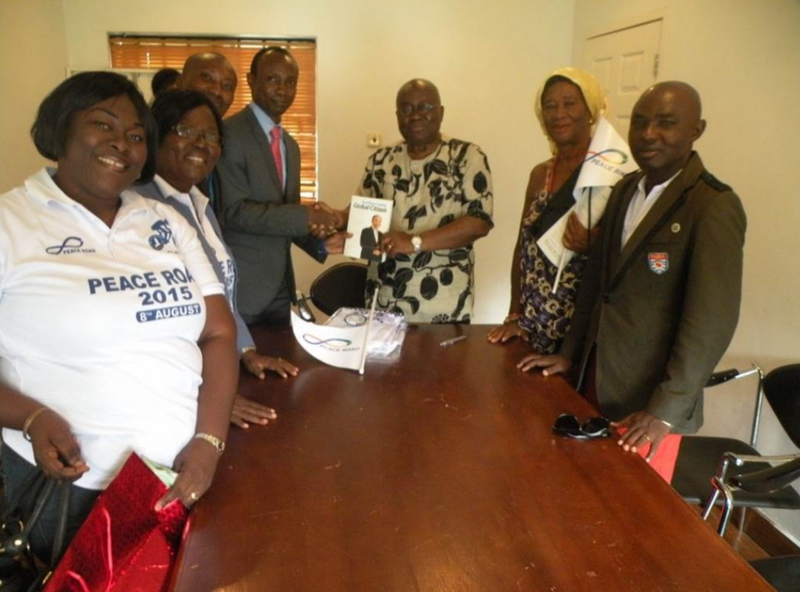 On Monday 10th August 2015, a notable politician and presidential candidate for the largest opposition party in Ghana; Nana Addo Dankwa Akufo-Addo invited the Peace Road 2015-Ghana organizers to his private office near the British High Commission. He signed unto the event banner and expressed his support to both the Peace Road project and Korea as a whole.